I love your original version, but I love this one even more! Great idea to use the key as a hook, and so clever to hang it where it covers up your fuse box. 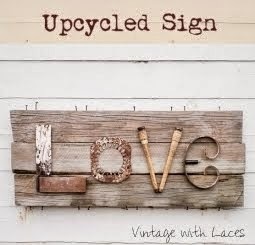 This is such a great re-use project! Pretty and functional...and how clever to cover the fuse box! 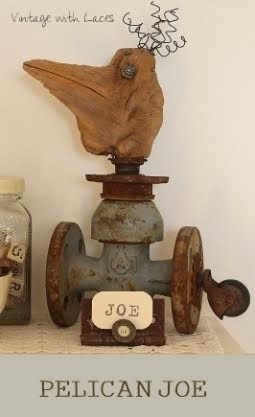 This is a great makeover for an object that was created to be useful. and this looks totally different, and I can see it fits your style, now, much better . 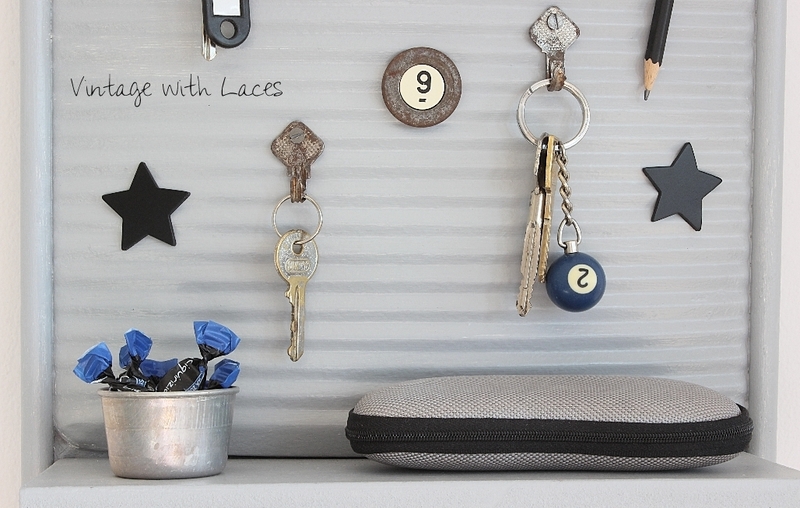 It was a great idea, to turn it into a board for holding your keys and messages and such. The bend keys is a fabolous idea, ..how do they come to you ...and so sweet with the tiny shelf you created yourself, or was it Helmuth ? ;.) .It is a wonderful and practical thing dear friend. A practical and pretty transformation, Julia, and the perfect piece to cover that nasty fuse box! It's great when you can make something over more than once, Julia. 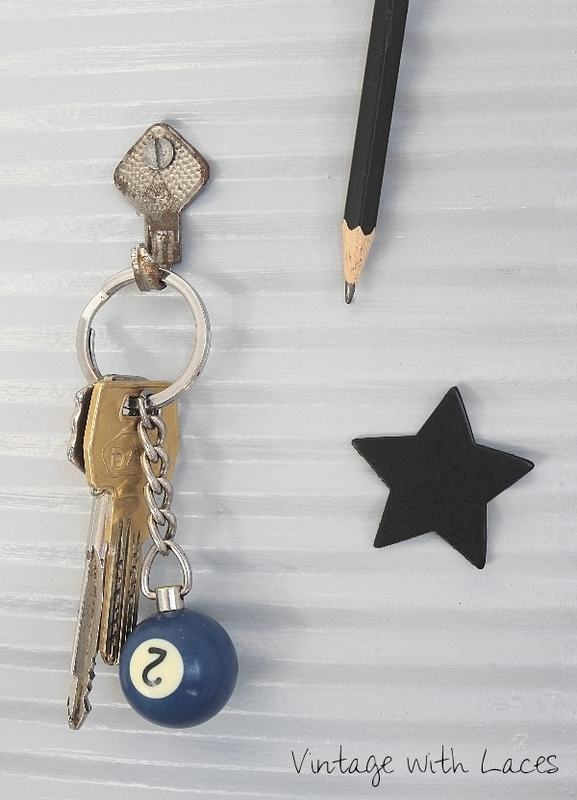 I love the whimsy of having key hooks hold your keys! 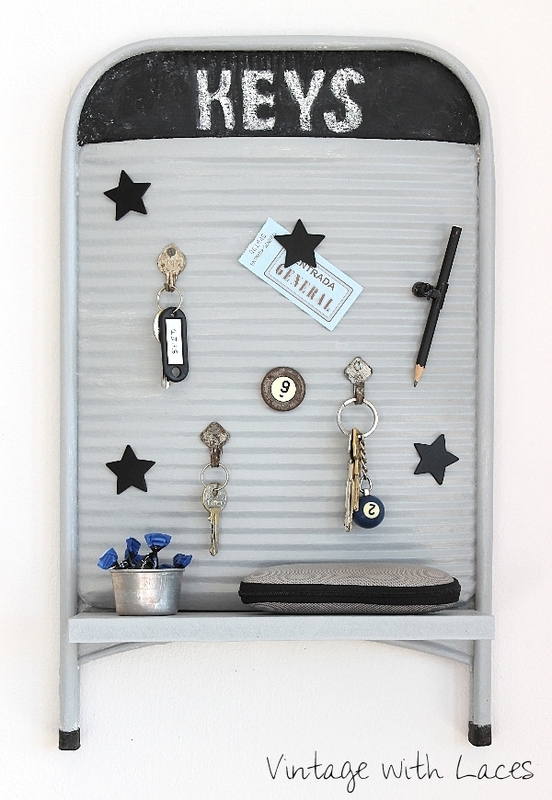 Oh Julia what a fantastic idea to make the washboard to a place for keys, I love the little shelf, so creatively made. I am loving this idea! Good job! SO fun and functional. I love it! I love this Julia! 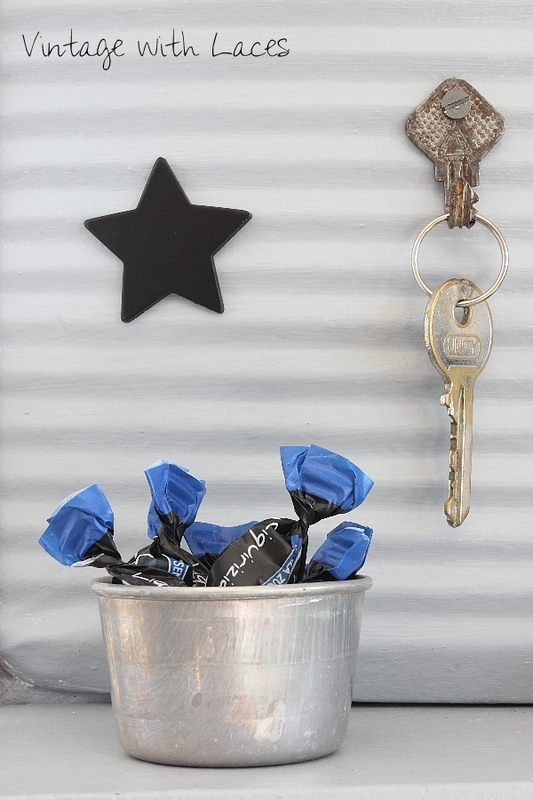 I can't believe I missed seeing this post and how you transformed the little washboard again into a key holder. Perfect!!! I hope all is wonderful with you dear friend! Muy hermosa y muy original doblar las llaves.